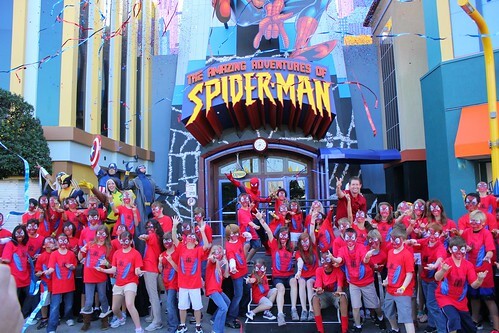 Amidst a web spun of red and blue streamers, Universal Orlando this morning celebrated the grand reopening of The Amazing Adventures of Spider-Man ride at their Islands of Adventure theme park. To mark the occasion, Spider-Man and some of his X-Men pals helped count down to the opening moment, while Dr. Doom and the Green Goblin lurked around a corner. Fortunately, Spidey and his Marvel Comics pals kept those baddies at bay and other than some brief ride downtime (a “bug” or two… spiders perhaps? ), the morning brought newly-enhanced entertainment to fans eager to once again climb aboard what is still one of the best theme park attractions around. 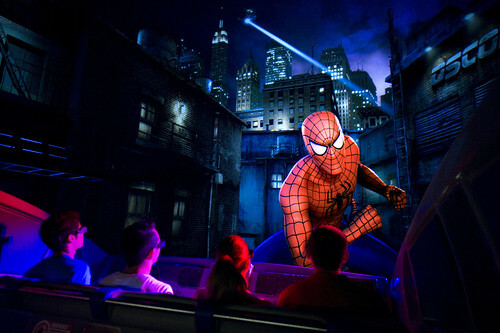 To learn more about what’s new inside the Spider-Man ride, I spoke with Universal Creative Vice President Thierry Coup and Senior Director of Creative Design at Universal Orlando Eric Parr, both of whom were instrumental in the creation of the attraction back in the ’90s. Coup is a former Walt Disney Imagineer who since joining Universal Orlando’s team has worked on attractions such as “Harry Potter and the Forbidden Journey” and the soon to open at Universal Studios Hollywood “Transformers: The Ride 3D.” Parr was formerly employed at theme park design company American Scenic as Senior Attraction Designer. They were both happy to share some of the details that went into recreating Spider-Man. The new version of The Amazing Adventures of Spider-Man is every bit as good as the old, with a few monumental improvements. Even before today’s upgrades, the ride has withstood the test of time very well. 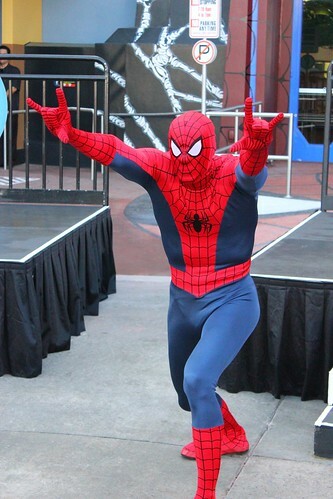 Prior to this new set of enhancements, the Spider-Man ride was still a favorite theme park attraction among many enthusiasts (myself included). Its unique integration of real life props and 3-D projected visuals is nearly seamless and was revolutionary when it debuted in 1999. But technological advancements since then have offered the Universal Creative team a chance to further enhance what was already a fantastic attraction. New 4K high-definition projections on the ride are jaw-droppingly clear. The distinction between what is a real prop and what is a projected 3D image is now blurred to the point where upon turning some corners on my first time riding through the enhanced attraction I thought for a moment that an entirely new set had been added, only to realize it was a giant 3D projection of a highly-detailed computer rendering. New lighting and added details enhance the scenery that surrounds each of the ride’s many screens. All practical effects are once again working and in full force, particularly the fire and water moments which quickly heat up and cool down all who pass through. But the content on the screens themselves remain the focus of the ride. Spider-Man’s story is the same as it has been for years, pitting the title character against a variety of villains. 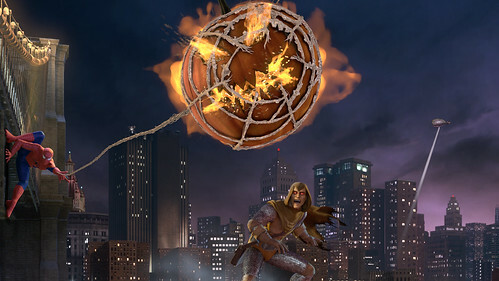 But these villains look more menacing than ever and when they appear to come close for an attack, the effect definitely appears to be in-your-face, particularly the Hobgoblin’s flaming pumpkin. The previous incarnation of the ride suffered from some blurry, flickering projections and a fair amount of “ghosting,” the double images that are inherent with polarized 3D projection technology. The new dichroic 3D glasses all but eliminate this issue, yielding high-quality visuals like no other 3D attraction. The newly-rendered scenes offer far more gritty detail than the brightly-colored cartoon-like imagery previously shown off in the attraction. 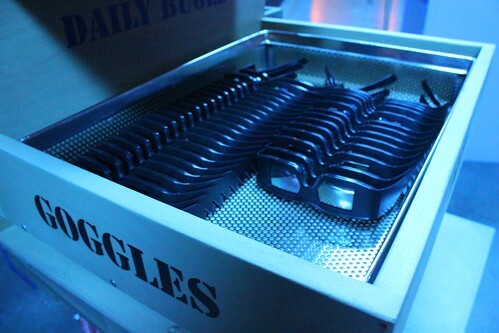 Added shadows, shading, and texture combine to immerse guests into the ride more than in the past. And the high-definition projections make it possible to actually focus on individual details without suffering from eye strain. As Thierry Coup pointed out in the interview above, you can actually see the individual threads on Spider-Man’s glove as he points at you near the beginning of the ride. And that’s no exaggeration. 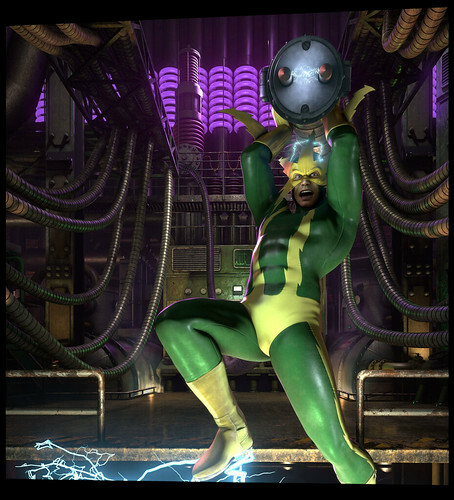 Many of the 3D scenes have been simply enhanced, following the same character actions on the screen. But some of the later scenes have been given a complete overhaul, for the better. 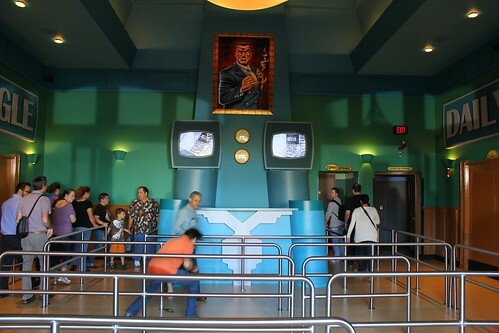 During the ride’s exciting and high-flying finale sequence, some of the virtual scenes were changed so dramatically that I didn’t even recognize a couple of them, making it feel like a new attraction entirely. As high praise as the new visuals deserve, the new soundtrack and 16-channel audio that Universal is also touting is good, but not nearly as striking as what’s seen. The ride sounds as good as ever, but it will always be the visuals that separate Spider-Man from other dark rides. The queue has also been given a bit of a sprucing up, with nothing monumentally changed, but all dusted, repainted, and generally made to look brand new. My only real complaint with the updated ride was that on my second trip through this morning, the car I was in malfunctioned (it happens) and I ended up finishing the ride backwards with no audio, ending up in the maintenance bay out back. Universal made up for the inconvenience by offering all in my vehicle express passes to return later and honestly I kind of enjoyed the added adventure. 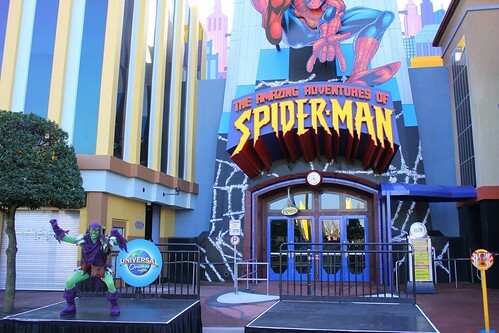 With its reopening, The Amazing Adventures of Spider-Man now looks new enough to pass for a new ride, rather than one that first opened 13 years ago. 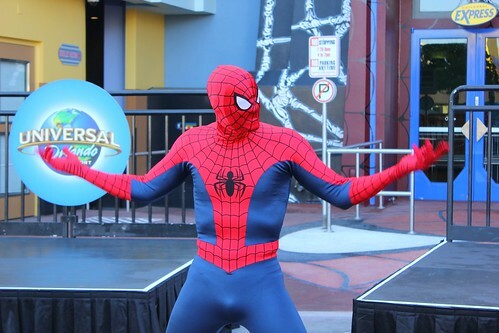 The one remaining question I had on my mind regarding Spider-Man and the surrounding Marvel Superhero Island was why Universal Orlando had decided to upgrade a ride that’s based on characters now owned by a competitor. In 2009, Disney purchased Marvel for billions of dollars and with that came the acquisition of all its characters, including Spider-Man, the X-Men, and thousands of others. 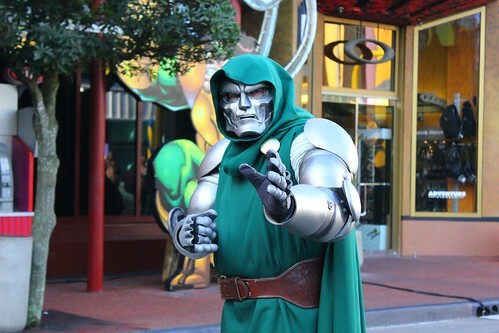 Many wondered what would become of Universal’s Marvel area at Islands of Adventure, given their obvious competition with Walt Disney World just down the highway. And there you have it, true believers. 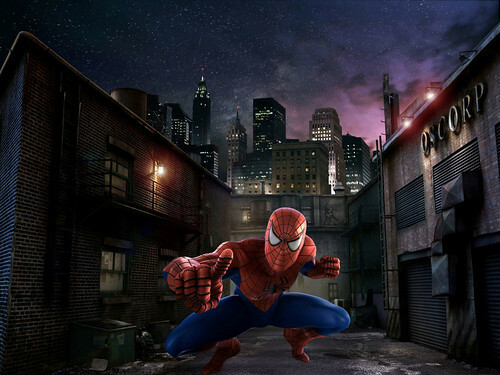 Marvel isn’t leaving Universal any time soon and in the case of The Amazing Adventures of Spider-Man, it’s a win for theme park fans who can now enjoy a classic ride that Universal upgraded for no reason other than the fact that they could. 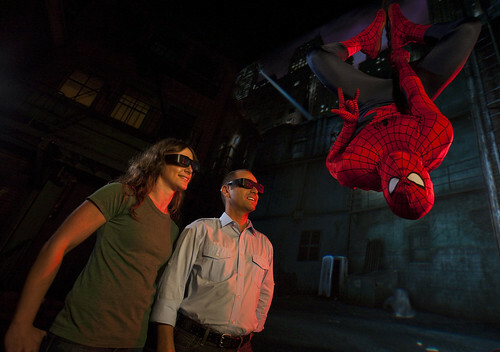 Anyone who has enjoyed the Spider-Man ride for the past 13 years should swing over to Islands of Adventure as soon as possible to take in the enhanced attraction. Thanks for the update; can’t wait to ride when I’m there in September. And now I have to be on the lookout for Stan Lee every time. I never knew he had three “cameos”. Ricky, I saw you standing in the media area, my buddy and I were to the right of you all, as soon as they announced “Let’s ride”, we were the first ones on board. I had noticed you, but the party was just getting started. They interviewed us after the ride and was a very cool experience, glad to be apart of the fun. Oh, and I’m actually in that official Universal video at the 0:53 mark, they had my buddy talking twice on it. Also, we played the new mini golf, Haunted course, another addition of fun at Universal.